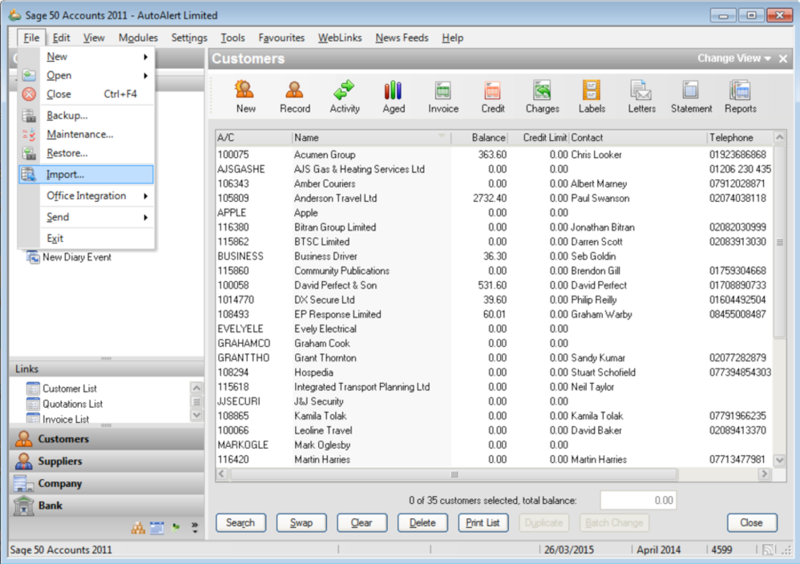 With Okappy, you can easily export your invoices raised to your external accounting packages such as Sage Line 50, Quickbooks, Clearbooks, Kashflow and Xero. 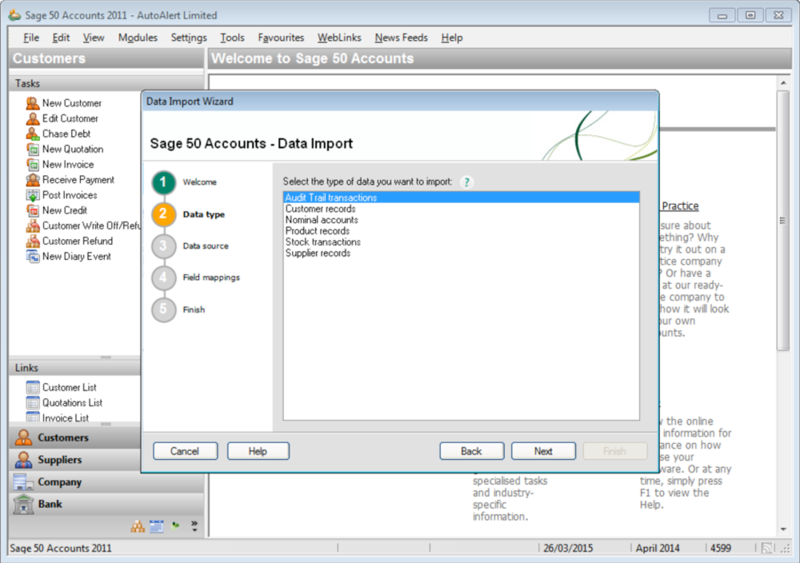 The following fields are not exported from Okappy, but can be added to the spreadsheet if required before uploading to Sage. 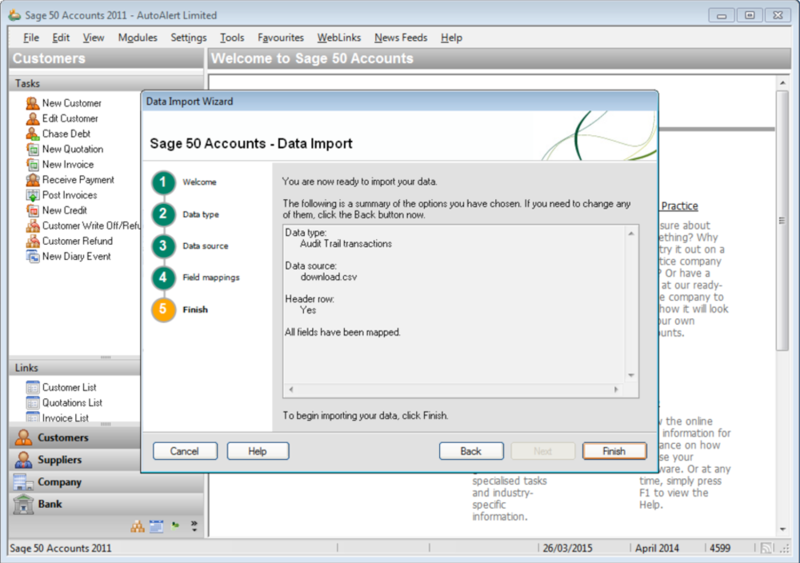 The Data Import Wizard will be shown. To be on the safe side it's always worth backing up your data first by clicking on the Backup button. I also find it easier if you have made an error with your import, or while testing as you can easily go back to the state of your accounts prior to the upload. Tick the box for First row contains headings. 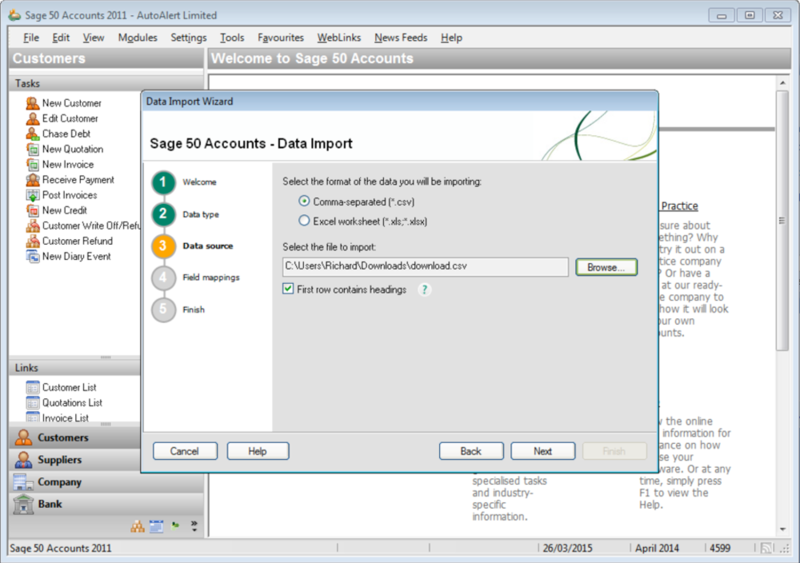 Note: Once you've selected the file you may need to again check the option for CSV as Sage sometimes defaults back to xlsx and then shows an error saying the file cannot be read. It also helps to click open rather than double clicking on the file name to select the file. 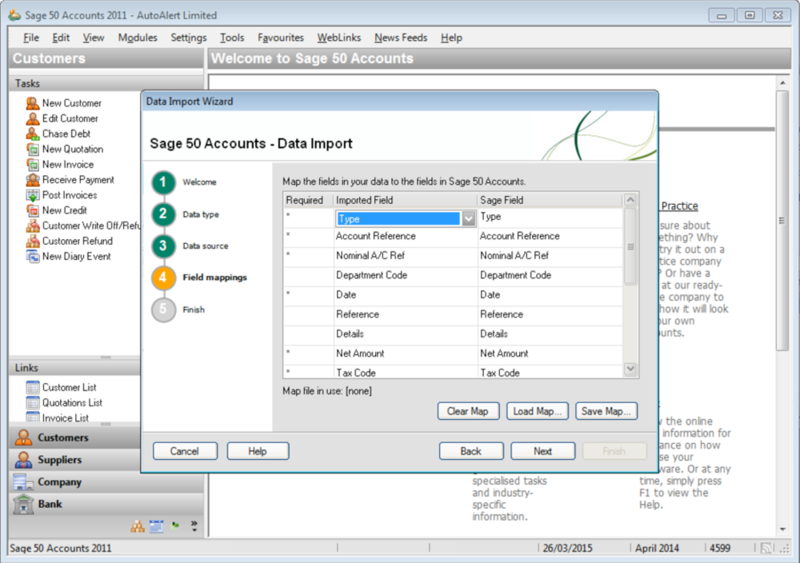 Choose Field mappings to match the column in the spreadsheet to your relevant Sage fields. 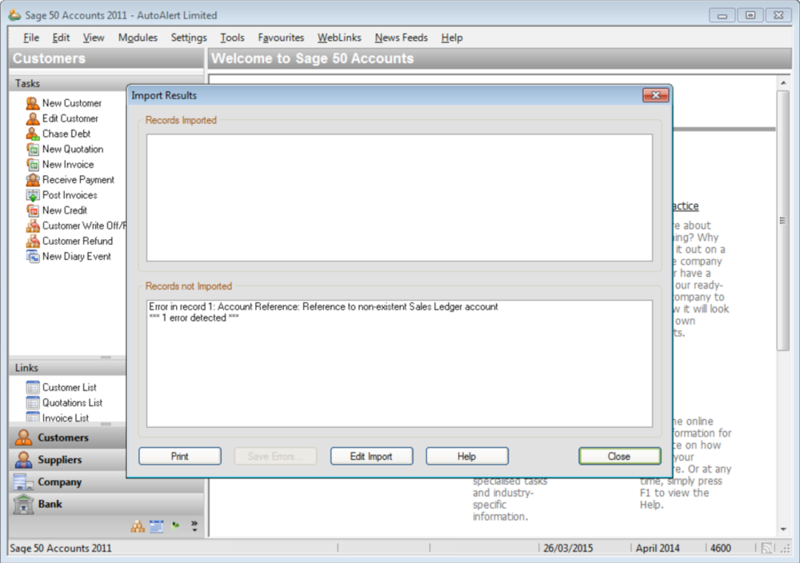 The file is set out in the order required by Sage, so simply select A though I for each Sage field as shown below. Click Next, then click Finish to import your data. If all goes well, the following screen will show the invoices which have been imported. If there are errors with the import file, the errors will be shown. Typically errors could occur if the file has data for a field which is not matched in Sage, i.e., if you have a client identifier of MISA in Okappy but it is MISC in Sage or if a nominal code is used such as 4200 which is not present in your Sage chart of accounts. Any errors can be corrected within the spreadsheet and then re-uploaded using the process above. Note: Once your invoices have been exported from Okappy, they cannot be exported again so it is often worth keeping a copy of the export file. 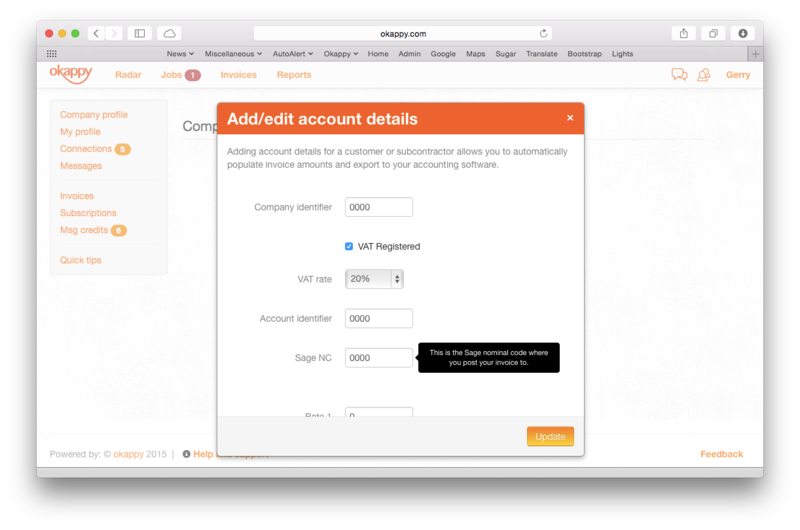 You can also check the account details from within Okappy to make sure the file is populated correctly the next time.